Do not like you can see an old issue in full. You should be able to get game point regardless and the 30 day offer should expire if you do not contact them to keep it and you should not have to use a credit card. 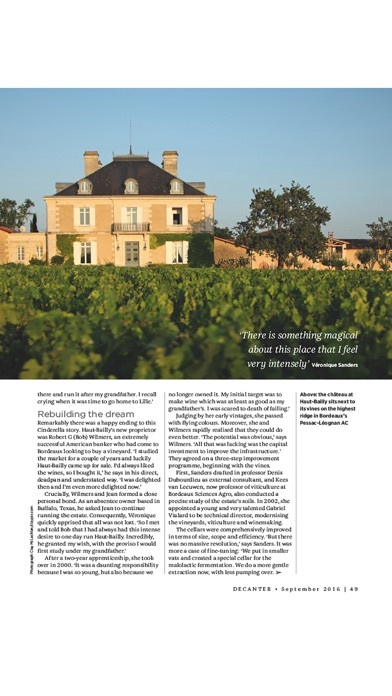 It is difficult to review Decanter magaIne as the app never goes beyond the Loading. That is until it just quits. I am using an iPad with which I enjoy reading Vanity Fair, The Economist, Saveur, Food and Wine, Sunset and several other magazines. The Economist is the fastest download and quickly allows browsing thru issues. You need to get your software fixed if you intend to sell subscriptions with the app. It does not work! 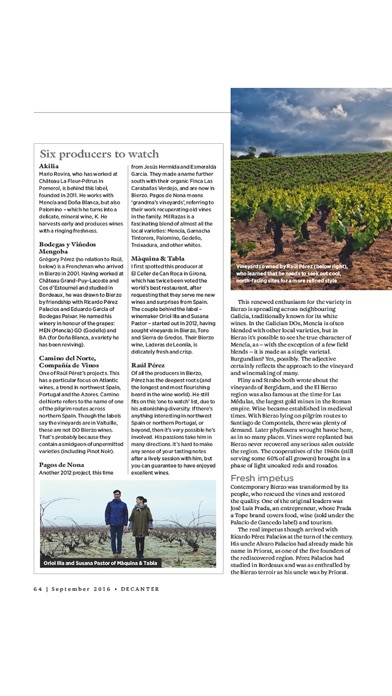 Usually a few good articles about wine producers of various regions. That being said the magazine is about 70% advertisements for Bordeaux ( ads and "articles"). Decent app..but very annoying as each page starts out fuzzy and you have to wait a bit for it to become clear, so you can read it. The magazine is terrific; Decanter is leaps and bounds beyond spectator, enthusiast, advocate, etc. the quality of writing and the European influence make this a much more even and worldly publication than others. The app however had not been updated for even the iPhone 5's tall screen, it has terrible page turning, and is simply difficult to enjoy on an iPhone if any size. A light ui overhaul would be terrific in making this app more enjoyable. 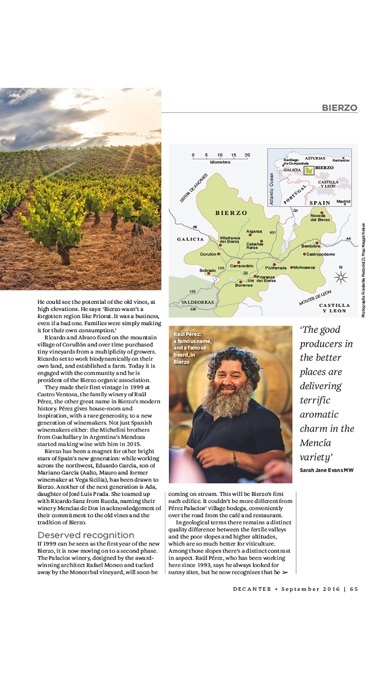 Decanter is a great magazine in search of an app commensurate with the print edition. But this app isn't it. Constant crashes, full of bugs and poor support from Decanter. We are waiting for an update and it can't come soon enough. I would like to be able to copy text, but that's not allowed. A very big pain. Other than that, a traditional magazine app. Why does the "rate this app" show up all the time? Purchased ten issues in 2012, after updated the app, all is gone and could not restore, so I figured that maybe I just rented them instead of bought, so please change the button purchase into rent, wasted 100 dollars on this, I might just hate wines because of decanter, thanks guys, great job. This update (1 Feb 2013) was rushed out to fix a compatibility problem. Unfortunately it isn't working properly: no cover pages are displaying in the "library" view. I wouldn't normally punish this kind of slip with one star, but this app's earned it with a series of similarly sloppy moves. A shame, as the magazine's great and deserves better. Cannot access my print sub! Since the update I can no longer access my print subscription and am unable to download any further issues. Please fix. Just let me download issues and not have to rate your magazine. 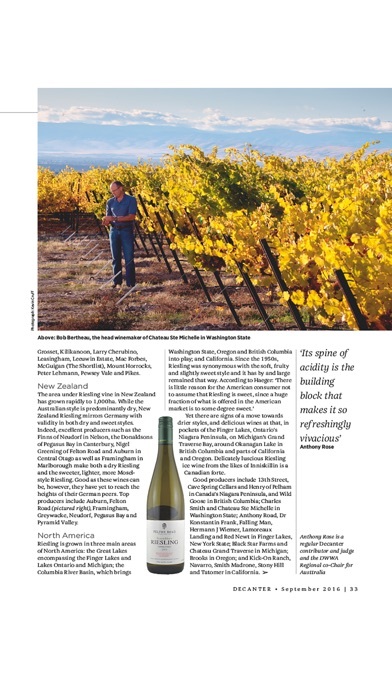 This is a premier wine magazine and the app is not great. It skips, has black pages and crashes. I want this but the sample issue has already let ,me down. I had started to use this app in the summer and purchased several issues. Then the app had an update in October (I think) and it no longer recognizes that I purchased the issues. I have tried using the "restore purchased issues" request about 10 times to no avail so now I have to go on a goose chase trying to figure out who to log this issue with. Only install if you are quite happy throwing money away. I can sign in with no trouble. I have the magazine subscription. Magazine never shows up on the screen. It's been a ongoing problem. Great magazine, has always been a favorite, but the imaging is a mess each time I turn the page.